A common attribute of a successful person is his or her accomplishments. Has this ever happened to you? You’ve been instructed to list your accomplishments, and you can’t think of any. Or you’re asked in a job interview, “What accomplishments are you most proud of?” — and you freeze up. You know you have had accomplishments, but you just can’t dredge them up. The inability to come up with accomplishments happens to lots of job-seekers— it’s very easy to get stuck in the day-to-day grind of work and forget to take note of all the great things you do for the company. Accomplishments are far more important than duties and responsibilities, but a surprising number of people are unable to articulate beyond the day-to-day tasks they performed in their jobs. In other words, an accomplishment is service that goes beyond your usual job description. OK. You’re convinced. 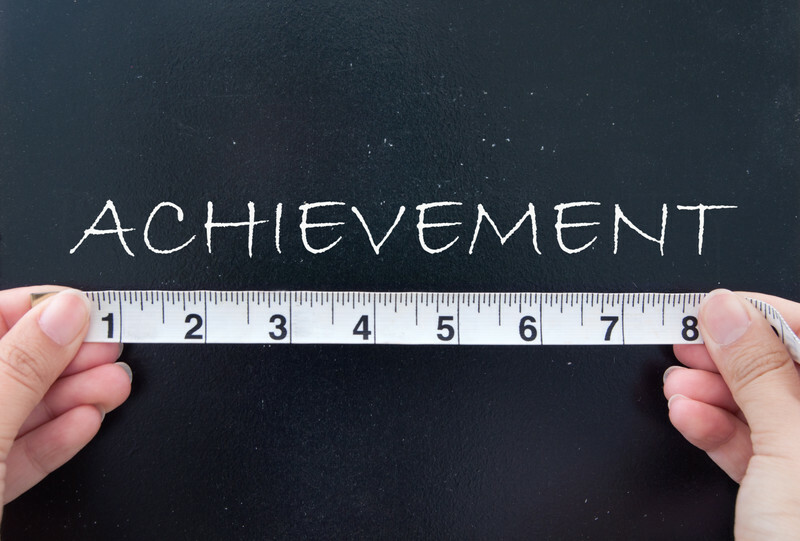 An awareness of the importance of accomplishments does no good, however, if you haven’t been keeping track of all your wonderful achievements. One of the best ways to prepare for a time when you may need to share your accomplishments is to collect details of your achievements as you go along. So, Lesson One: The minute you start a new job, start keeping track of your accomplishments. Keep a log in a little notebook, or on index cards, in a computer database, on a little tape recorder, use an app or on your palm device. It is as simple as that. List specific examples that illustrates your success. Maintain a career journal. But what about all the jobs that have gone by in which you haven’t recorded your accomplishments? Lesson Two: Use the following prompts to start brain-storming all those terrific things you did. Try to list some accomplishments that set you apart from other job candidates. In each job, what special things did you do to set yourself apart? How did you do the job better than anyone else did or than anyone else could have done? What did you do to make each job your own? How did you contribute to profitability, such as through sales increase percentages? How did you contribute to efficiency, such as through cost reduction percentages? How did you contribute to productivity, such as through successfully motivating your team? Is there material you can use from your annual performance reviews? Did you consistently receive high ratings? Any glowing quotes you can use from former employers? Have you received any complimentary memos or letters from employers or customers? How did you leave your employers better off than before you worked for them? Did you win any awards, such as Employee of the Month honors? What are you most proud of in each job? Add some more brain-storming questions of your own or take help of a coach or colleague to come up with a list. HOW TO WRITE AN ACCOMPLISHMENT? Increased sales by 50 percent over the previous year. Produced total sales 20 percent higher than those of the other servers in the restaurant. Served a customer base of 150, the largest on firm’s customer-service team. Use superlatives. You can impress employers with words such as “first,” “only,” “best,” “most,” and “highest.”. Make a list of active “Problem, Action, Resolution” (PAR) statements that illustrate quantifiable accomplishments. Focus on what makes you stand out as an effective contributor in the kind of job you’re looking for. These brief, action-packed statements should show how your previous employers benefited from your achievements in terms of rupees earned, or costs or time saved. When listing your work history, don’t just list job duties, explaining the benefit of those skills to employers.